Performance athletic mouthguards can mean the difference between saving your smile and requiring advanced cosmetic and restorative procedures to recover after an accident happens. Dr. Wagner has partered with PX3 Performance Mouthwear and Under Armour Mouthguards to provide high-quality solutions for athletes of all ages. Contact our Jacksonville Beach dental office today to discuss your options and request a consultation! You work hard, train hard, and push yourself to the limit. Still, there’s only so much you can do to improve your core strength, balance, and endurance. If your body’s out of alignment, then no amount of training will allow you to unleash your full potential. This is where a revolutionary new technology comes into play. The PX3 is a custom sports guard designed to relieve muscle tension and align your body so you can perform at peak levels. Athletic mouthguards protect smiles, but the PX3 enhances performance as well. If you want to experience improved strength, flexibility, core balance, and stamina in your athletic routine, take a cue from the many professional athletes who rely on PX3. With PX3, you will have an edge over the competition. "It relaxes your jaw, which relaxes your face, which relaxes your shoulders and traps. All of that is key to a better athletic performance." The PX3 is specially designed to relax your facial muscles and align your jaw joints so that your entire body can work in harmony. You may think it sounds crazy that a mouthguard could have such a significant impact on total-body performance. Consider this – when muscles in your head, face, neck, and upper back are in proper position, stress is relieved, and energy can be focused elsewhere. If your jaw is even slightly misaligned, your energy and power can suffer. You may also endure headaches, earaches, tingling hands, teeth grinding, and pain in your face, head, neck, and jaws. Furthermore, the head does not sit properly on the spine and the airway can be restricted. The PX3 is designed using principles of neuromuscular dentistry to align the jaw and spine, alleviate tension, and open airways. The instant you wear your new PX3, you’ll feel the difference. As a graduate of the Las Vegas Institute for Advanced Dental Studies, Dr. Wagner has a comprehensive understanding of the nerves, muscles, and whole-body impact related to the temporomandibular joints (TMJ) that connect the skull and jaw. Because of this knowledge and his extensive experience, Dr. Wagner was invited to become an LVI instructor in 2008. 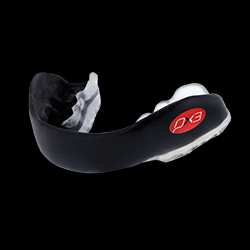 The PX3 Mouthguard harnesses the power and strength that stem from optimal TMJ positioning. Dr. Wagner will determine the proper, relaxed position for your TMJs. A PX3 will then be designed to hold your jaws comfortably in the proper position. Muscles and nerves will not be stressed, the head will align properly with the spine, and your airway will open. As a result, your body will have the power and energy to work more effectively. You’ll notice increased strength, balance, flexibility, and endurance. "I've been using this mouthguard for about a month and a half now, and I noticed a big difference instantaneously. It was incredible, and it blew my mind away. The results speak for themselves. The funny thing is that I tried to prove it [The Edge] wrong. However, I can't find anything wrong with it...I can't." More than 40 years of research in neuromuscular dentistry has produced the PX3. The pros wear PX3 for an advantage over their opponents in virtually every sport, from golf to bicycling to hockey, football, baseball, and more. Once you learn the truth about PX3 and experience the edge firsthand, you’ll never look back. 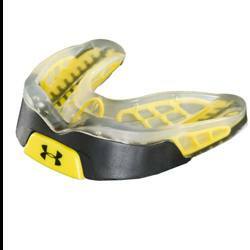 Dr. Wagner also offers the Under Armour® brand as a worthwhile performance mouthguard. This appliance will reposition the jaw slightly during exercise and when the patient is clenching their mouth (like during periods of extreme exertion). This repositioning allows your jaw muscles to relax more effectively throughout athletic events and reduces the risks of TMJ fatigue over time. Your mouthguard will be custom-molded for your unique smile, resulting in a comfortable, secure fit that you can rely on time and time again.